With the customized MTN portable MIFI, which is just like every other Access point, that is a networking device that facilitates the communication and provides an enhanced security to wireless devices on a network. It also functions as an extender of WAN to a physical range in some networks you can connects up to 10 Wi-Fi enabled devices at same time. Your Smartphone, Tablets, Laptops, Computers, Game Consoles, Smart TVs etc. The high mobility, (which means you can move from place to place with your access point) of the MTN portable wireless router got you going with your Internet connectivity on the move everywhere at anytime. MTN wireless MFI supports up to (eight) 8 hours of battery life, when in operation and more during off peak hours. The MTN MIFI is uniquely designed for home or Small Business use. Simply buy an MTN 4G LTE MiFi(a free Sim+4GLTE MiFi device ) at N15, 000 only and get as much as 100% data bonus for 3 months. Promotional offer available for a limited time only. 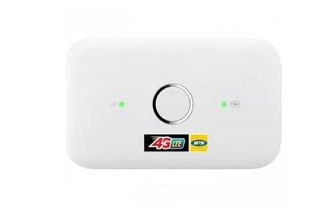 Step1 on onboxing your MTN MIFI package insert your registered 4Glit sim card in the provided sim space. Step 2 insert your battery and cover the back. Step 3 power on the device by holding the power button for a period of three 3 seconds. Step 4 gets your MIFI user name and password written on the inside of the battery. Step5 enable your device to access wifi signal by turning your wifi icon on the device. Step6 search MTN mobile wireless internet E5573 click on connect and enter the appropriate password. Step 7 lunches your browser and type in the IP address 192.168.8.1 or simply type in my 4glte.ne this will lunch you into the MTN user interface where you will do your configurations. And choose your bundle plan. Step8 enter your user name as ADMIN and password as ADMIN and click on login. Congratulation your MIFI is ready for use.